I am a Chartered Structural & Civil Engineer with 25 years’ experience as a Designer, Manager and Director in the Built Environment & Construction industry. I co-founded the Practice in 2011, and am particularly interested in the collaboration between engineering and architecture. I have a substantial portfolio of completed and critically-acclaimed projects across the UK which include new buildings, historic buildings landscapes, streets, strategic plans, sculpture & installations. Self-proclaimed passionate engineer, father of three, optimist. I enjoy music and most sports. My favourite place is the aptly-named Hope Street in Liverpool. 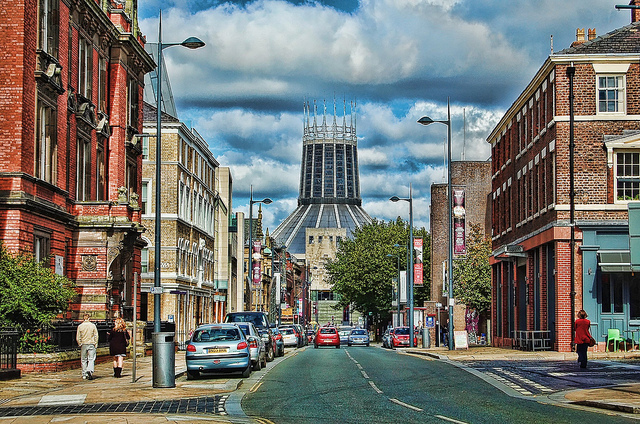 It has everything a great street should have – culture & education in the form of the Everyman Theatre, Philharmonic Hall, and LIPA; good bars and restaurants including the wonderful Philharmonic Pub; Hope Street Hotel; beautiful georgian townhouses on Hope Place and Falkner Street; and good quality public realm that is book-ended by two iconic cathedrals.